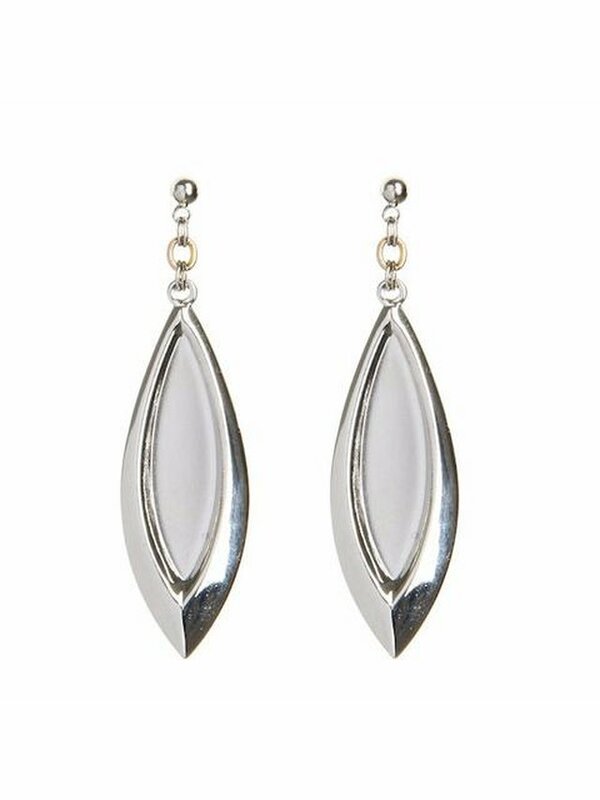 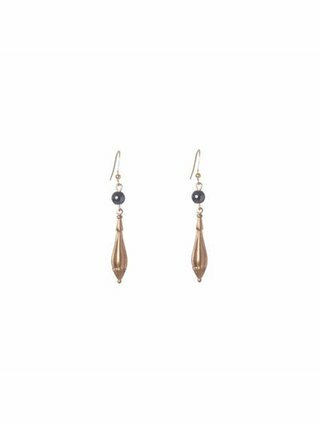 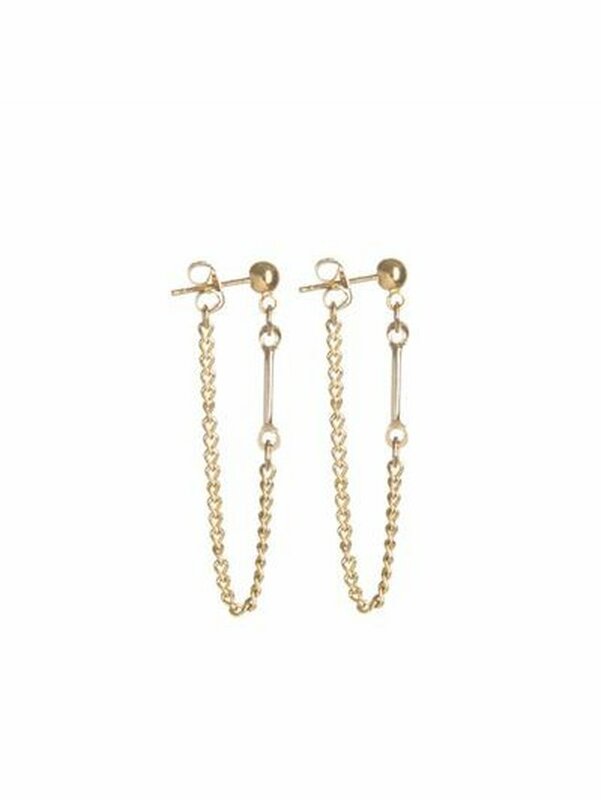 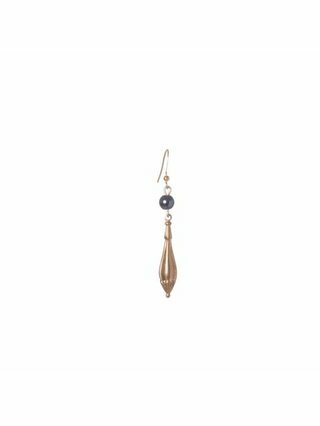 This pair of vintage-looking dangle earrings effortlessly glam up your outfit in a subtle way and allows you to wear this everyday for a fresh new look. 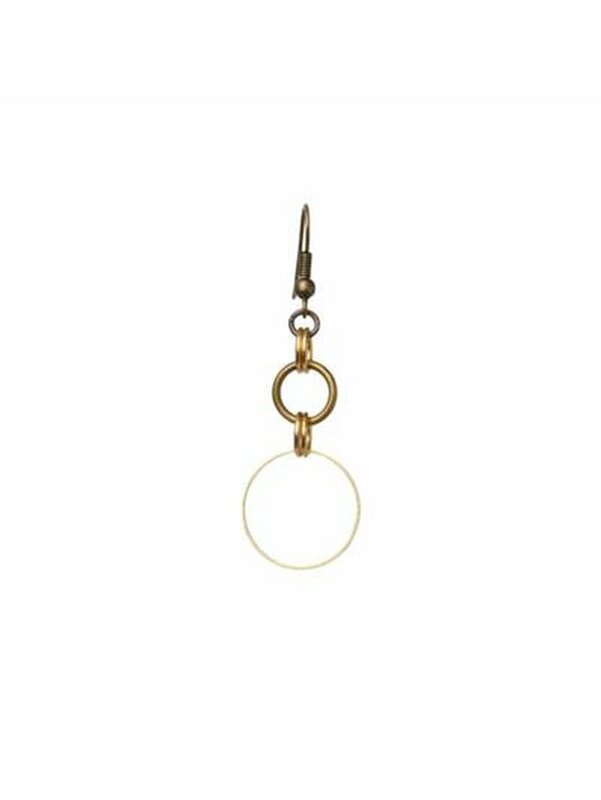 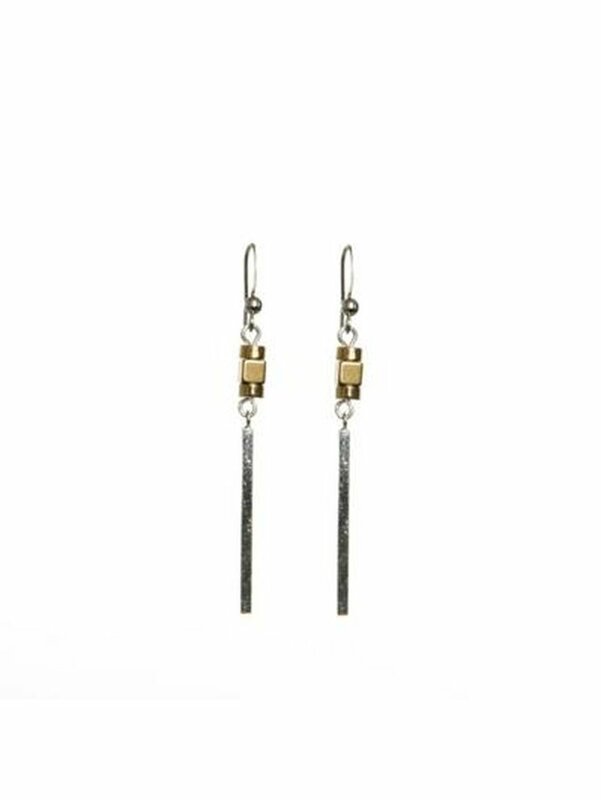 Brass drop surrounded by fine granulation detail, 6mm stone, 18k gold plated french hook ear wire. 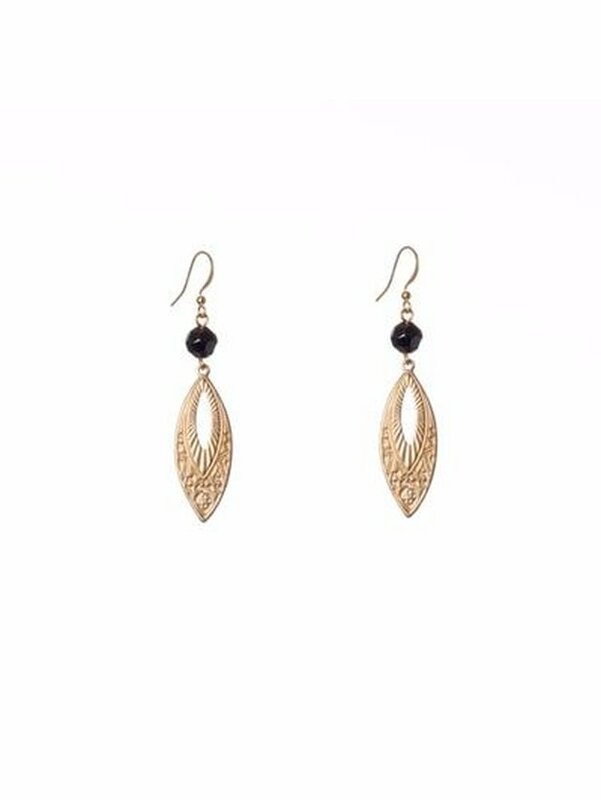 2" drop. 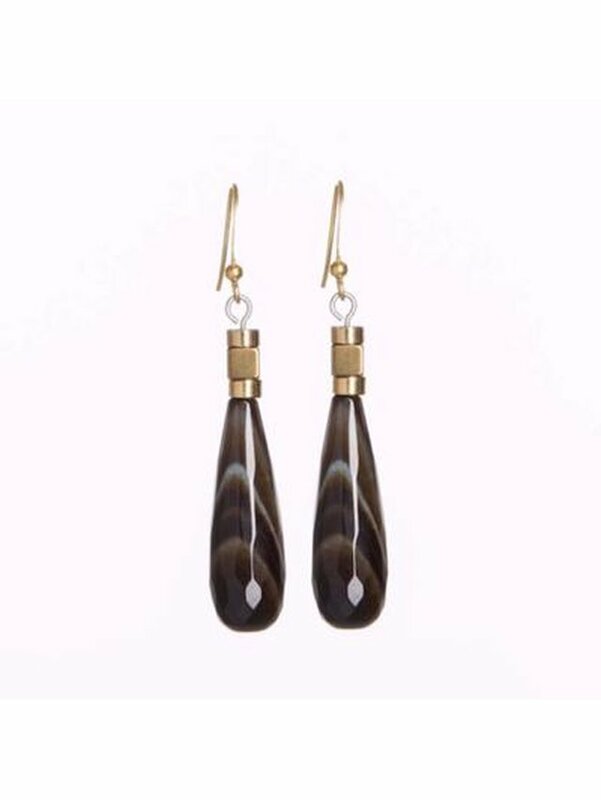 Available colours: coral agate, emerald green agate, and hematite.